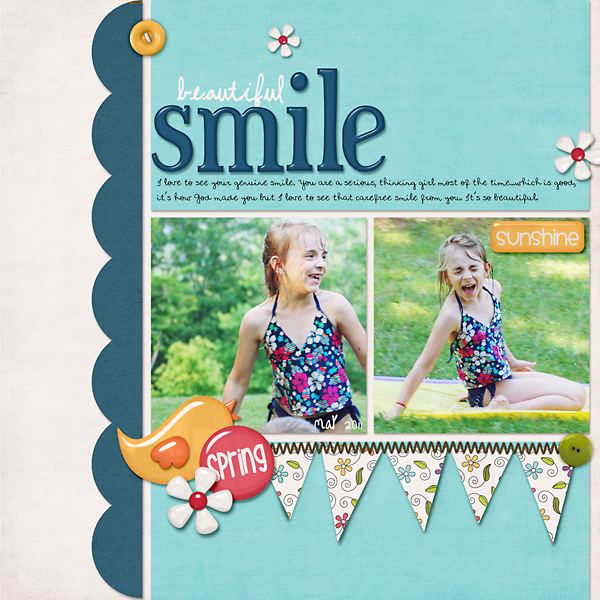 This is my finished page made with a Recyclables 10 Template and Laura Bansiak's kit Hey Girl. See now, wasn't that fun? Don't you want to do it? It's time to show you what I scrapped this month. I'm trying to get all my 2011 pictures scrapped along with keeping up with my 2012 pictures. 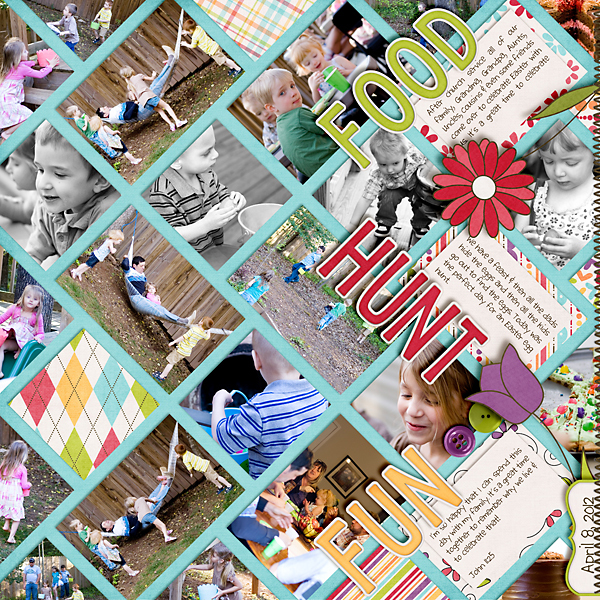 My goal is to scrap the current months' pictures along with the same month from 2011. Four months into the year and I'm keeping up! I can't believe it. So here are my April 2011 and 2012 pages that I scrapped this month. 7 pages. Not too bad for me, although not as many as last month.Thankfully, I did have quite a few pages already scrapped for April 2011. Here's the one page I did from April 2011. 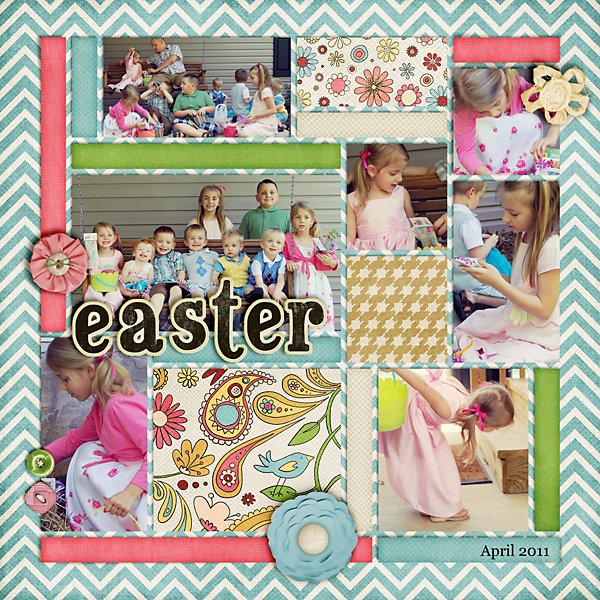 I loved scrapping my Easter pics from 2011 and 2012 this month. It was fun to see the changes in the kids. This actually happened in March but got mixed up in my April pics. A very special moment for our family. 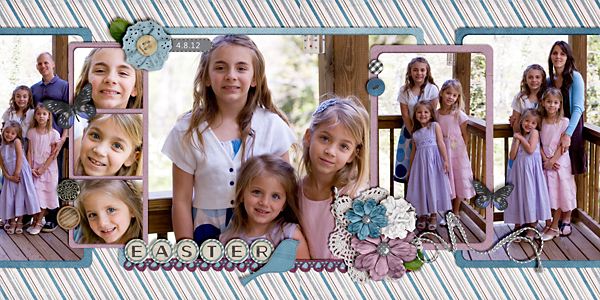 This template will be available in a Recyclables set this weekend that you'll be able to get for a steal of a deal. A friend mailed an Easter egg to the girls. I knew it was coming so I grabbed the camera when I sent the girls out to check the mail. I'll have to remember this idea for next year! Using Hip Hoppity by Faith True Originals. 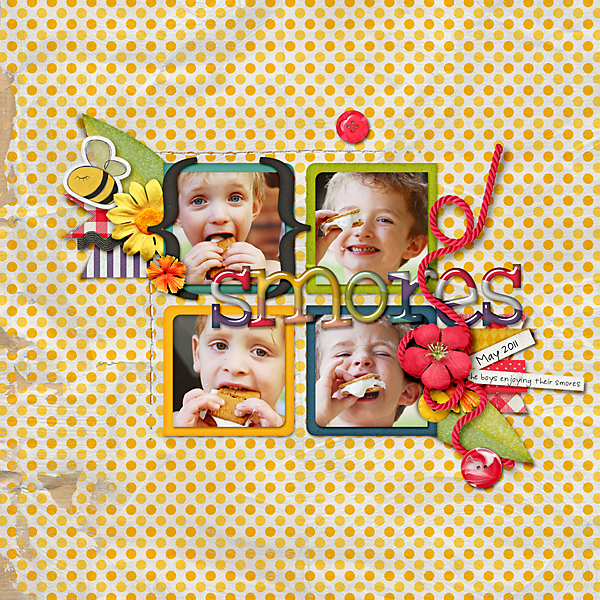 This template will be given away as a freebie at the challenge I am hosting over at Scrap Orchard on May 5th at 10pm! Make sure you stop by and grab it! 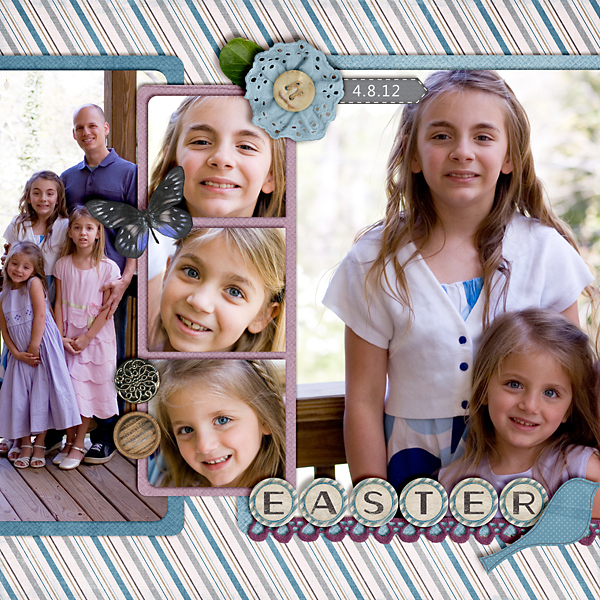 I had so many Easter pictures that I wanted to scrap. I like pages with lots of photos, it's a great way to scrap all those random photos from the day. 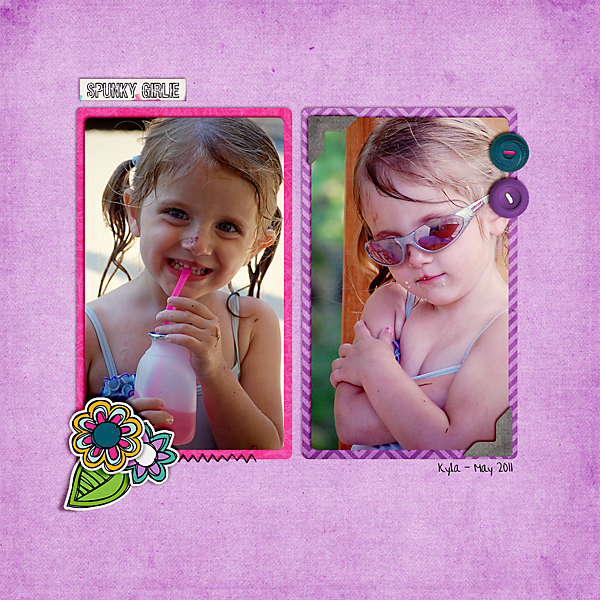 And I'm using a new template set that will be released for iNSD! You'll be able to grab this set for $1 during the sale. So keep your eye out for it. 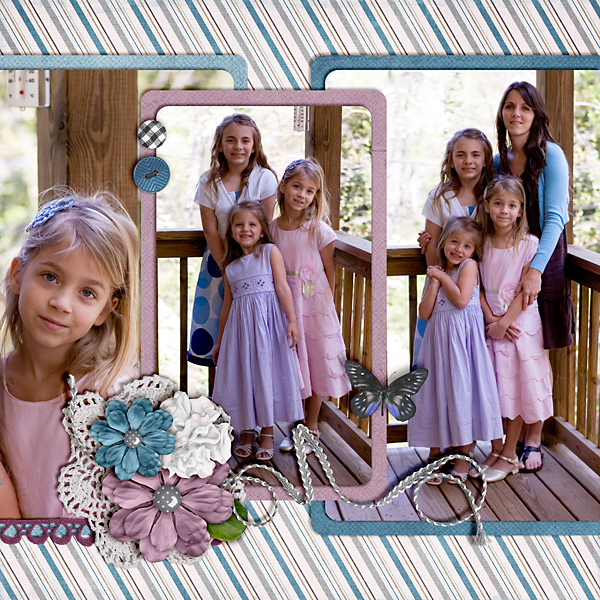 My beautiful girls on Easter Sunday. So thankful to friends who give us hand-me-downs. 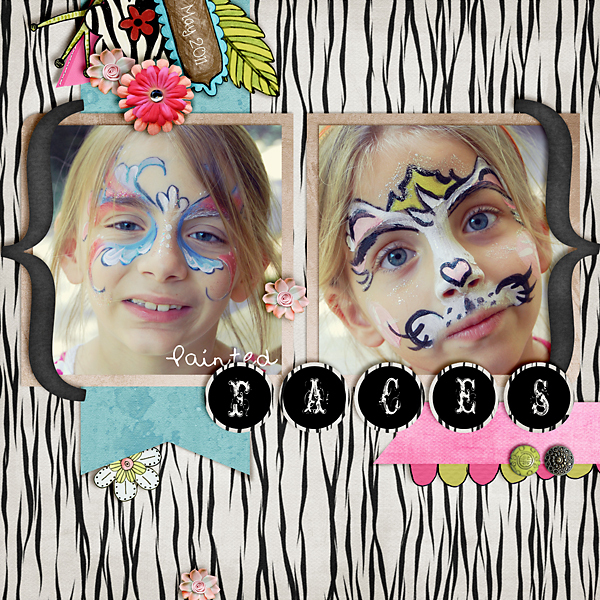 Here's another page with lots of photos. 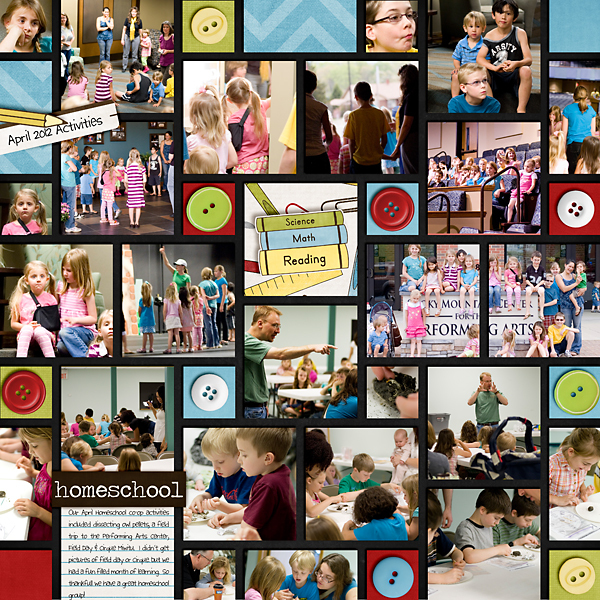 It includes photos from some of our April homeschool co-op activities. And another new template that will be released with the one above! I'm so excited about these. They hold lots of photos....or lots of pretty papers, whatever you like. Well, there you have it. I think it's a good re-cap of what our April looked like. I didn't take a lot of pictures this month, only of the special occasions. I'll try to be better next month. I'm just glad that I'm keeping up with this project. Are you keeping up with your scrapping?